I Haven't Read Enough of These 'Must-Read' Books. Have You? Between films, comics, tv, and a professional-grade diet of video games, I don't have nearly as much time to read novels as I once did. It's a real drag. 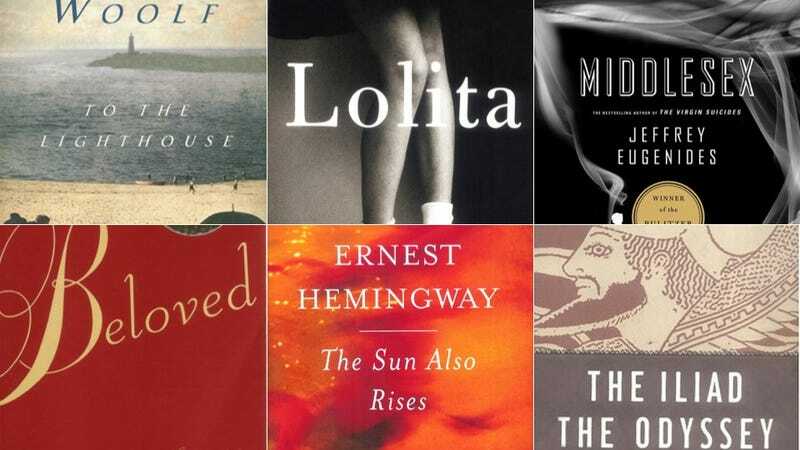 I was equal parts happy and stressed to read Flavorwire's list of 30 books everyone should read before turning 30. I already done turned 30, and I haven't read half of these. How about you? Have you read a good percentage of these books? Does suffering through Much Ado About Nothing in high school count as "reading" it? How do you manage your time with so many different media vying for your attention? And hey, what are some of your favorite books of all time? Have you read Michael Chabon's The Yiddish Policemen's Union, and if so, do you love it as much as I do? Let those questions be your prompt, or really, talk about whatever you like. The Friday Night open thread commences… now.